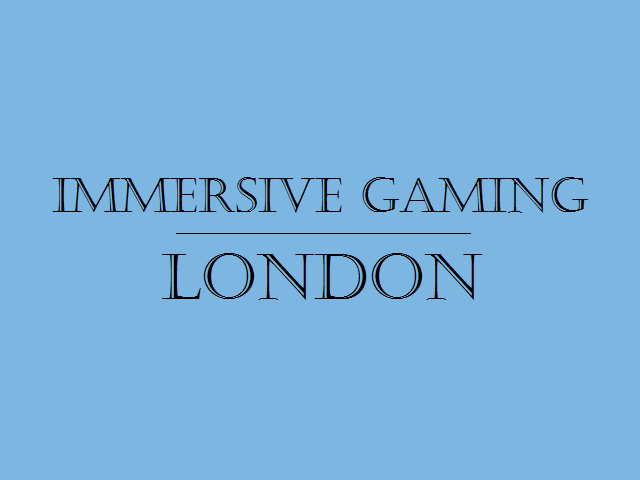 Welcome to the November 2018 edition of the London-focused immersive gaming rumours post. Note that this focuses on London (and the surrounding areas). If you want to know about escape games further afield, then you can follow exitgames.co.uk, where I publish a weekly update on the UK escape room scene. For those of you interested in what I’ve been up to over the last couple of months, it’s been pretty busy with ~40 escape games (including a trip to Budapest and Prague), some immersive theatre, a couple of talks at the UK escape room conference, and being interviewed by the Guardian, Radio 4 and BBC 1. Hectic! The House of Alistair Moon, the new game from Lock’d, has opened its doors. No word from enthusiasts on how it compares to their existing games but, with a couple of years of experience since they launched a room, I have high hopes. Clue Adventures opened up Gangster’s Treasure for a few months in East London before they had to leave their venue. Good news: after a couple of months packed away, they’re relaunching at a new venue in Leyton. Even better, the Coach and Horses looks to serve pretty decent food, so it may be a great venue for an evening’s entertainment! Last weekend saw the UK qualifiers for Red Bull Mind Gamers take place in London. In news that probably won’t surprise many enthusiasts, the team of Sarah, Sharan, Mark and Dave destroyed the opposition, clinching first place with three minutes to spare over their nearest challengers. Expect them to put in a strong challenge for the finals, which look likely to take place early next year. clueQuest launched their new game, cQ:ORIGENES, last month, with initial reports being very positive. The company has a stellar reputation in the London scene for producing consistently good games with great customer service, so the fact people are suggesting it’s their best game yet makes me very, very excited to play – which will hopefully happen in early December! They’ve also just announced that they’ll be bringing the officially licensed Ubisoft Assassin’s Creed VR game to London. I was fortunate enough to play a beta of this game back in May and even as a non-Assassin’s Creed fan, I was impressed. Virtual Reality seems to have moved from being a gimmick to genuinely creating amazing experiences. It’s unlikely to be cheap but I definitely think it’s an experience that’s worth trying out although if you’ve got a fear of heights you might find parts of the game terrifying! They won’t be the first to bring the experience to London though with it arriving in Acton and Elephant & Castle this week at dedicated VR locations. Ticket prices there are £39 per person with two or four people playing at once. Crystal Maze has been running in Islington for a couple of years, but they’ve taken the decision to move over to the West End, presumably with an eye to catching the tourist market. The northern venue closes down at the end of this year, while the new location will admit people from late March. Going further afield but still inside the M25, XScream Escapes have opened up in Ashford (in Surrey, not Kent!). They’ve got two games at the moment, with a third due to open in time for Christmas. All their games have horror or scare elements although, having played them, you can expect creepy themes rather than scary experiences. With a background in set design, you can also expect them to look pretty. We headed along last weekend and were impressed by what we saw. Corpsewood Killer was a fun game, although it comes with heavy dose of padlocks and some weak puzzles that will likely put some people off. Bedlam was much more automated (which may or may not appeal! ), with slightly better puzzles and a real sense of exploration throughout the experience. Another company opening in the suburbs is Clue HQ Kingston, the latest branch of the UK-wide franchise. They’ve brought with them that stalwart of the company, Bunker 38, as well as Dungeons of Doom and The Experiments. I’ve played the first two elsewhere and they’re both enjoyable experiences, albeit lacking in story and, again, with a tendency towards heavy padlock use. Finally in the outer-London area, Eltham Escapes, another company in the suburbs of London, has opened its doors with Temporal Tours. I’ve been excitedly watching their build on Facebook and have been impressed by what I’ve seen. I’m particularly looking forward to it because of the suggestion of a Time Travel theme, which I usually enjoy, and a positive initial enthusiast report! Not in London, but only a twenty-minute train journey out of St Pancras, Gravesend is a perfect destination for escape room enthusiasts. If that’s you, then you may be interested in their latest offering: the enthusiast packages offer a variety of options, but why not go all out and play 15 rooms over two days for only a shade over £200 per person? Not many places can match that kind of value! At the time of writing, I’ve played all but one of their games, and I can definitely recommend their offer. As ever, if you’re looking for general recommendations in the capital, then you can check out either my London guide, which lists my favourite games, or the more detailed recommendations based on whether you’re looking for a two-player or eight-player game, like mechanical puzzles or need wheelchair access. And, if you’ve read this far, then you may be interested in my irregular enthusiast meetups. If so, drop me an email and I’ll send you the details! Escape Plan are launching Roll out the Barrel – which appears to be something between an escape room, a puzzle experience and a party. Catering for groups of up to 24 people, it seems like it may be the perfect solution for medium-sized Christmas parties mixing light competition with revelry. A Door in a Wall have just closed down one project but are immediately launching a new one. Lights, Camera, Action sees them moving away from their roots with a game that doesn’t involve a murder! Instead, you’ll have to produce three films, but don’t worry – you’ll still be interacting with their excellent actors, scoring points and even solving some puzzles! Previews run in November with an eye on launching the game properly in the New Year. Sounds interesting! Fire Hazard have been running John le Carré’s The Circus for the last month or so. You’ve got two hours in and around Cambridge Circus to prove that you’ve got what it takes to be a secret agent. I played its precursor, Undercover, a while back and was impressed by the variety of challenges on offer. All tickets are sold out at the moment, but get on their mailing list and they may release some more sessions. They’ll also be launching a Christmas game, A Christmas Quarrel, throughout December, as well as their annual Santa version of City Dash and the last running of Quest for the Family Ghouls. Busy! Part murder mystery, part immersive theatre, part escape room? OK – you’ve got my attention! Copycat is reaching the end of its run at the CoLab Factory, a hotbed of up-and-coming immersive gaming experiences. Help Larson, the protagonist in the show, track down the serial killer who murdered his sister. Be warned, though: the website talks of claustrophobic spaces, jump scares and flashing lighting. This isn’t for the faint-hearted! Last night on Sunday – so book tickets quickly. Talking of CoLab shows – if you were disappointed to miss out on Hidden Figures, the good news is that it’s back! This time round, they’ve set up shop a little bit further east in the Biscuit Factory (near Lock’d and AI Escape, if you’re familiar with them) and will be around till December. I thoroughly enjoyed their experience last time round and recommend it to anyone who fancies an evening of unusual entertainment. They seemed receptive to feedback and, from what other attendees have said, it sounds like they were continually evolving the game, so expect it to be even better than before. You can read my review from their last run here. I know almost nothing about it, but the Switch has an intriguing website that suggests they’ll be running an experience which can best be described as an immersive puzzle hunt. Expect a trail through the city with puzzles along the way and interaction from a “moderator”. Sounds like a properly GM-ed experience akin to Agent November’s games, so I’ll be curious to hear how it turns out. Offers on Groupon if you’re tempted. Book in quickly, though, because this game ends its run on 1 December. Dead Quiet has obviously been popular, with yet another extension seeing them playing their final game of the run this weekend and then re-opening in April. I’ve not got any experience with the company, Immercity, but it sounds like it’s mainly immersive theatre with a bit of murder mystery layered on top. If you head along, let me know how you find it! Komorabi is a new company that is running an immersive game called the Snow Queen. There’s relatively little about it on their website but, from what I know, it’s an immersive scavenger hunt that’s being run in aid of Mary’s Meals ‘Backpack Project’. Groupon has Epsom Escape, London Escaped, City Mazes, The Switch, Adventox and Breakin on their site. If you want to take advantage of the offers but don’t want to support Groupon, I recommend dropping an email to the venue asking if they’ll offer you the same deal – they’re usually willing to match it, and the bonus is that they get the full amount rather than just 50-70% of what is already a reduced fee. That’s all I’m aware of. If any of the above is incorrect, then let me know via email or in the comments below; or, equally, if you’re aware of other news, discounts or competitions, tell me and I’ll include updates in the next edition.